November 18, 2016  Casey Affleck is a man returning to his hometown to bury his brother and reconnect with his teen nephew in Manchester by the Sea. Critic David Eldestein calls the film draining, but also worth seeing. Sci-Fi Saga 'Arrival' Asks: Can Humans Learn To Speak The Language Of Aliens? November 11, 2016  Amy Adams plays a professor tasked with talking to eight-tentacled aliens in Denis Villeneuve's new film. Critic David Edelstein says Arrival is a strange and tantalizing puzzle. November 3, 2016  Gibson's new movie tells the story of the first conscientious objector to receive the U.S. Medal of Honor. Critic David Edelstein says Hacksaw Ridge is the work of a remarkable filmmaker. October 28, 2016  Though he's known for making quasi-horror films, director Park Chan-wook's latest movie is a melodrama set in 1930s Korea. Critic David Edelstein says The Handmaiden is fun and full of twists. 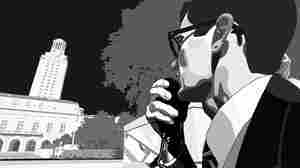 October 14, 2016  The animated film Tower revisits the day, in 1966, when a gunman began shooting from the clock tower at the University of Texas at Austin. Critic David Edelstein calls the movie "extraordinary." October 7, 2016  The new movie, which tells the story of Nat Turner's 1831 slave revolt, is a righteous-vigilante tale — and an answer to D.W. Griffith's 1915 film of the same name. September 30, 2016  Andrea Arnold's new movie about a teenage girl who takes up with an unusual group of salespeople won a the Jury Prize at Cannes this year. Critic David Edelstein calls it a "wonderful" film. September 23, 2016  Critic David Edelstein says that despite its irresistible plot, Antoine Fuqua's remake of the 1960 classic Western is ultimately "just another formula revenge picture." September 16, 2016  Stone's new film presents the exiled former NSA contractor as a heroic whistle-blower. Critic David Edelstein says movie's take on Snowden is entertaining — but also a bit one-sided. September 9, 2016  A new film stars Tom Hanks as the airline captain who made an emergency landing on the Hudson in 2009. 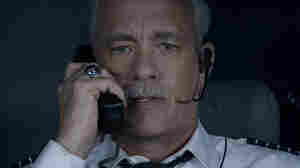 Critic David Edelstein says that Sully's flight sequence is by far the best part of the film. August 26, 2016  Richard Tanne's new film is a dramatization of Barack and Michelle Obama's first date in 1989. Critic David Edelstein says the movie's mix of politics and romance has a "naive kind of charm." August 12, 2016  Two masked robbers clean out small branches of a Texas bank in David Mackenzie's new neo-Western. Critic David Edelstein calls Hell or High Water a work of "broad scale and deep feeling." August 5, 2016  As their parents engage in a bitter real-estate dispute, the friendship between two adolescent boys deepens in Ira Sach's new film. Critic David Edelstein calls Little Men "quietly devastating." July 29, 2016  Actor Matt Damon and director Paul Greengrass pair up again for another chapter in the series about a rogue CIA assassin. Critic David Edelstein says Jason Bourne is very flashy — but not much fun. July 22, 2016  The Enterprise has been destroyed and its inhabitants have been thrown to the winds in the latest of the Star Trek series. Critic David Edelstein calls it a well-made action-adventure film.